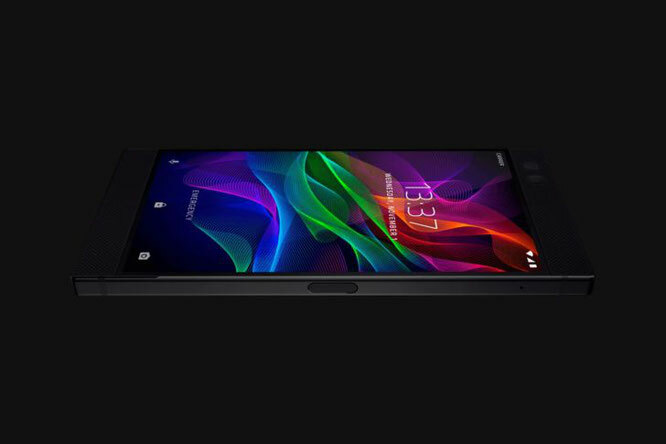 Rumors that the company Razer plans to introduce its own smartphone went for a long time. And this finally happened: the Americans announced a device called Razer Phone. As expected, engineers equipped the phone with top-end iron and focused on the game component. In general, GIVE TWO! Razer Phone received SoC Qualcomm Snapdragon 835 and 8 GB of RAM. The drive in a 64 GB smartphone supports microSD cards up to 256 GB. The operating system is Android 7.1.1 Nougat. On top of the installed launcher Nova Prime Razer Edition. Upgrade to the "eight" the manufacturer promises in the first quarter of next year. The screen deserves special attention. It is 5.7-inch, with a resolution of 2560 x 1440 pixels, but the coolest is the refresh rate of 120 Hz! In all mobile devices, if you do not take into account the iPad Pro, this figure is 60 Hz. In addition, Razer introduced the technology of frame synchronization UltraMotion - mobile analog G-Sync or Free Sync. Battery capacity - 4000 mAh. According to the manufacturer, this is enough for 7 hours of games, 12.5 hours of watching movies and almost 64 hours of listening to music. Quick charge technology - QuickCharge 4.0 Plus, from 0 to 85 percent of the device is charged in 60 minutes. USB standard Type-C, in the package there is also an adapter with USB Type-C to 3.5-mm audio output. The fingerprint reader is built into the Home key on the right end. The main camera consists of two modules for 12 and 13 megapixels. The aperture of one lens is f / 1.7, and the other is f / 2.6. The system allows you to take pictures with double optical zoom without loss of quality. The video can be recorded up to 2160p at 30 frames per second. The resolution of the front camera is 8 megapixels, aperture - f / 2.0. 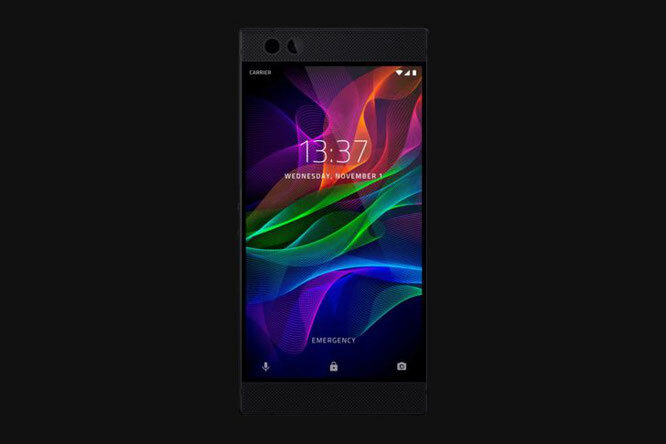 Razer Phone received a 24-bit DAC, as well as front stereo speakers with support for Dolby Atmos technology. By the way, this is the first phone certified by THX. The case is made of aluminum. The design resembles Nextbit Robin. But it's not strange, this startup Razer bought in January 2017. For true fans, the company will release a limited series of Razer Phone with a proprietary green logo on the back.